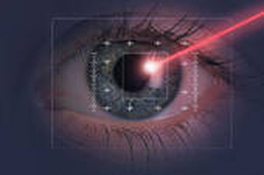 Laser cataract surgery involves the removal of the cloudy natural lens of the eye, and replacing It with what is known as an intraocular lens or IOL implant. IOLs mimic the functions of the natural lens as closely as possible and help in improving the quality of vision after cataract surgery. IOLs are typically made with the help of generic measurements based on certain factors that apply to all eyes. There was no customization with these lenses, and patients ended up in bifocals most of the time.. I was difficult to tailor IOLs according to the needs of each individual patient. This meant that even after laser cataract surgery and removal, patients were still largely dependent on glasses for proper vision. Over the years, there have been a number of advances in IOL technology which has made it possible for scientists and surgeons to develop IOLs that can cater to the needs of each patient. A large number of these IOLs, although approved by the FDA are still in clinical trials. One of the latest IOLs is the A-IOL or the accommodating IOL. The only FDA approved lens of this type in the United States is the Crystalens implant. The newer accomdoating/disaccomodating or AD-IOL is still in the initial phase of clinical trials. So far, initial studies have been successful. What is the advantage of an AD-IOL? comes to near reading vision. The AD-IOL is flexible and fluid filled, so it can change shape to allow a range of focus. IOLs are held in place using what is known as haptics. These haptics hold the lens implant in a postiion similar to the position that the natural lens of the eye held. Next, the muscles that were used to flex the natural lens of the eye are used to flex the lens implant to allow voluntary control over focus. It may take some time for patients to adapt to this lens, and the muscles need to build up properly to get the maximum focusing power out of any lens of this type. Some of these factors are still being evaluated by the FDA, so this lens is not yet approved. The future holds many options for patients who are interested in decreasing or elimlinating their glasses.